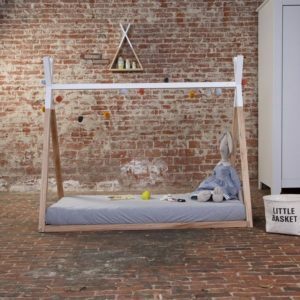 The Declan & Leah Teepee bed frame is the perfect addition to any little adventurers room. This cool, modern design is sure to make bedtime fun again! 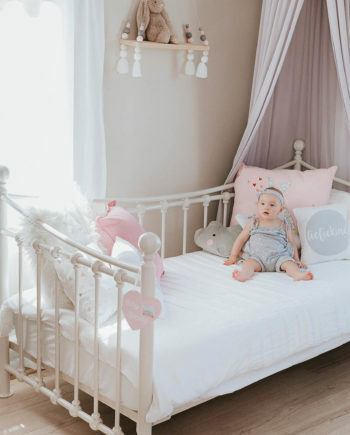 Our Teepee bed is also perfect to accessories with bunting, garlands and fairy lights. Low to the ground so its perfect for kids from age one. 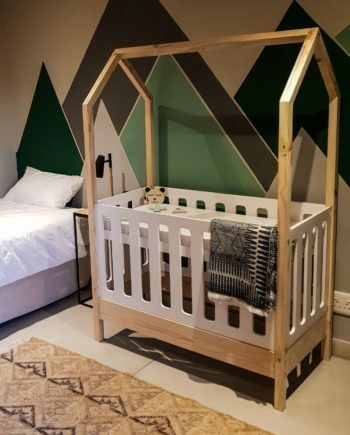 Manufactured from solid SA pine and painted with non toxic paint. 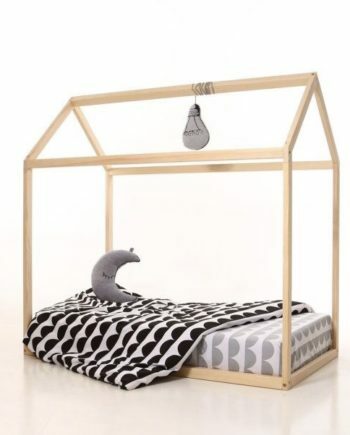 Toddler bed fits a 70cm x 140cm mattress and this is not included in the price but can be arranged. We work on standard matras sizing. Please inform us if your mattress is extra length. 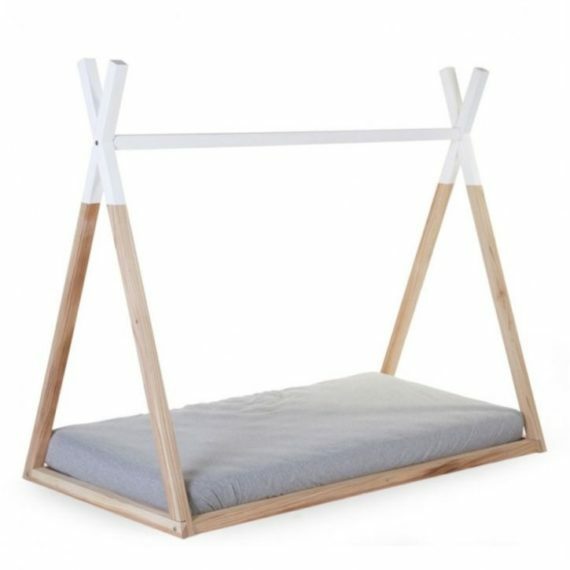 -Total Height of the bed is 1.8m from the ground. 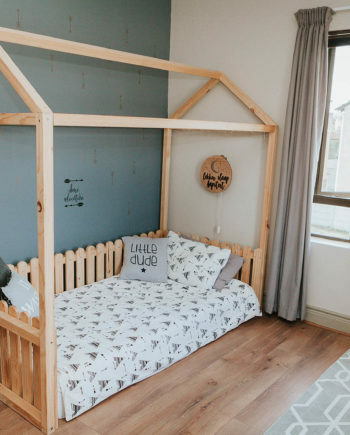 -All beds are delivered flat packed and tools and easy to follow instructions are included. 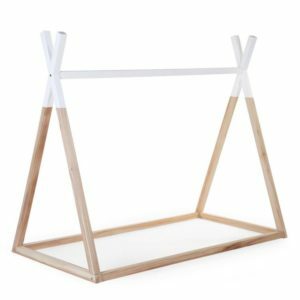 Please keep in mind we work with wood, which is a natural product. No two pieces of wood is the same.